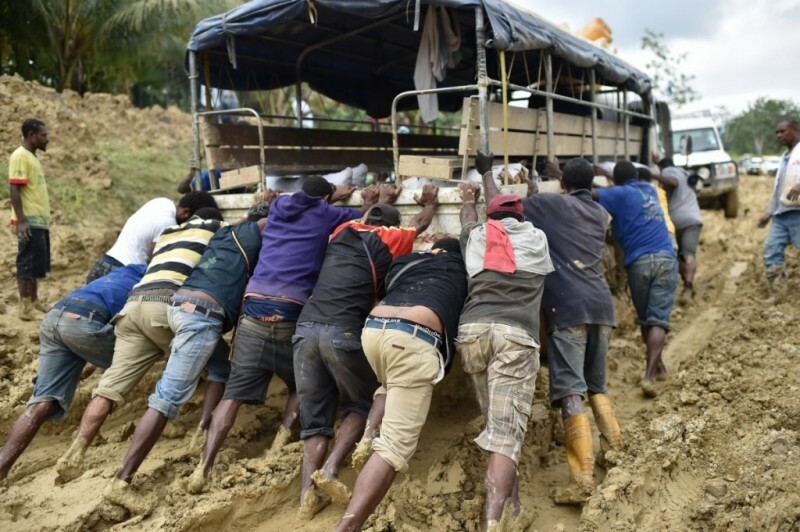 When Andreas Raptopoulos and his team got stuck in a 20-truck convoy completely marooned in mud while navigating between villages in Papua New Guinea, it was incredibly frustrating. It was also a validation of his work. Raptopoulos is the cofounder and CEO of a startup called Matternet, which makes drones, though he refuses to use that word. He prefers to call them small unmanned aerial delivery vehicles, or UAVs. He started the company after having a “eureka moment” three years ago. He realized one billion people around the world live in areas lacking reliable road systems and that drones could provide a more reliable way to deliver critical supplies, like medicine. That’s why Raptopoulos was in tuberculosis-ravaged Papua New Guinea in September, entrenched in mud. 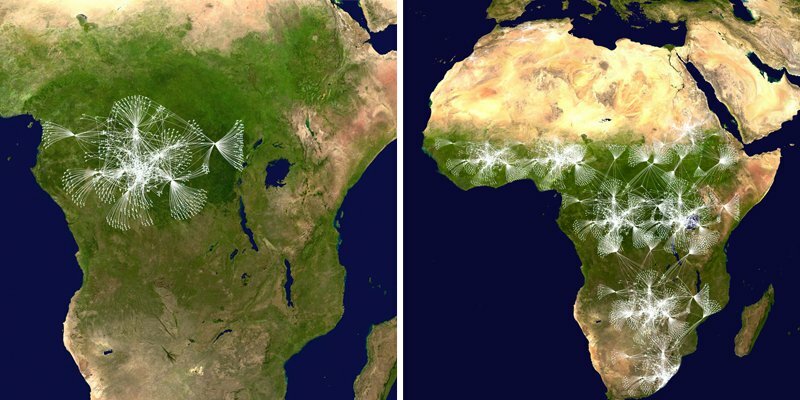 Matternet had connected with the international aid organization Doctors Without Borders to test whether its aerial vehicles could provide a good way to transfer TB diagnostics between villages. During the two weeks Matternet conducted its trials, multiple trucks got trapped. Matternet’s trucks may have gotten lodged in mud between launch sites, but its drones navigated their routes without a hitch. Controlled completely via an app, a UAV bearing a spittle sample would take off, fly through the air, and land at a hospital as far as 25 kilometers away. For Raptopoulos, it felt like a series of “pinch me” moments. Every time the team prepped a drone for a take-off, anywhere from 50 to 70 people would surround them. 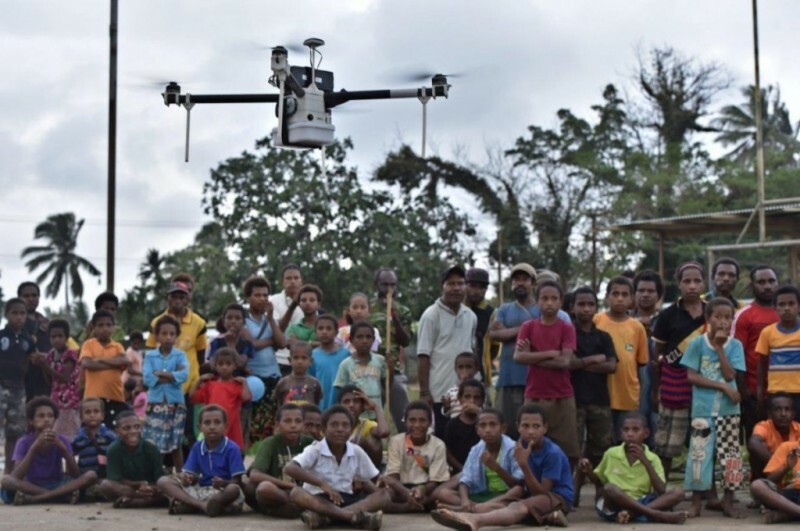 These were often people who live without running water or reliable electricity in their homes, and yet the drones seemed to make sense to them almost immediately. 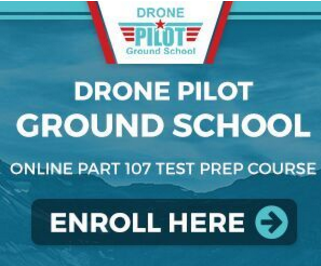 That’s one of the underlying principles that Matternet builds upon: that its drones be so dead-simple to operate, that someone without significant technological training could instinctively figure out how to send one on a flight. That someone who had even the most minimal knowledge of how to operate a smartphone could direct the drone to deliver medicine, food, or other supplies from one location to another. For that reason, Raptopoulos likes to describe Matternet’s UAVs as the Apple products of the drone space. 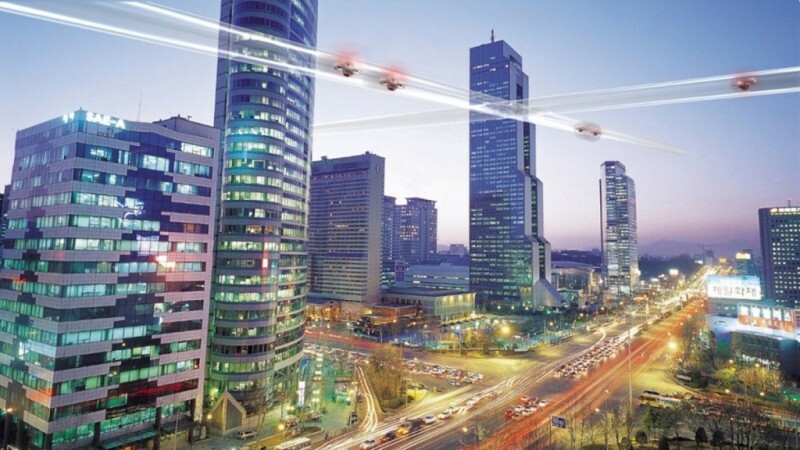 Right now, drones — and delivery drones in particular — are a buzzy topic, but when Matternet first got started, people mainly thought of them in terms of the military or security. Today, they’re being used to deliver medicine in Germany and the Federal Aviation Administration recently approved them for use in shooting movie and TV scenes in the US. Matternet’s early start combined with its powerhouse-team has it poised to take the drone space by storm and become one of “the next billion-dollar businesses,” according to Matternet investor Ravi Belani, managing director of Alchemist, the startup accelerator Matternet graduated from. Working as part of a larger team, Raptopoulos got hung up on the fact that one-seventh of the Earth’s population lacked access to all-seasons roads and that developing a traditional, reliable transportation infrastructure in those places would take crazy amounts of money and upwards of 50 years. Raptopoulos says when he and co-founder Paola Santana, previously a lawyer in the Dominican Republic, first started pitching the idea around, he got a lot of polite but confused responses. A lot of people thought they was crazy, Raptopoulos says. But the founders of Singularity University — futurist Ray Kurzweil and entrepreneur Peter Diamandis — loved the idea. After graduating from the University, they accepted Matternet into SU Labs, the school’s innovation accelerator. Since then, Raptopoulos and Santana have built a lean team of 10 people who specialize in skills ranging from rocket science and engineering to law and regulation. The company has raised $2 million to date from the likes of Andreessen Horowitz, Alchemist Accelerator, and even the rapper Nas, but is eyeing a more significant Series A round in the near future. Matternet’s plan is to create a full stack product, handling both the hardware and the software themselves, while simultaneously making sure to stay abreast of every new legal hurdle in the drone space. Right now, the FAA bans the use of commercial drones, but it is supposed to release rules for small drones under 55 pounds later this year, in line with its complete plan for “safe integration” of commercial drones by September 2015. Meanwhile, a team at NASA led by Dr. Parimal Kopardekar is developing a drone traffic management program of its own to advise the FAA. Matternet is one of the many UAV-focused companies that has met with Kopardekar’s NexGen technology team to discuss different ways to provide a structure to drone traffic. The startup plans to announce its first product in the first quarter of 2015, and start shipping a few months later. The goal is to have concrete agreements with the likes of Doctors Without Borders and the World Health Organization, which it tested with in Bhutan, by the time Matternet’s UAVs get launched. Raptopolous couldn’t name a concrete price point, but guesses that the Matternet system will go for between $2,000 and $5,000. By launching in areas like Papua New Guinea and Bhutan — where its drones are sometimes flying over swaths of jungle or sparsely populated desert and where there isn’t a strict existing aerial infrastructure — Matternet has fewer barriers to entry. Although Raptopoulos landed upon the idea for Matternet because of a motivation to provide a transportation solution to parts of the world that lack access to all-season roads, the company has its sights set beyond humanitarian causes. After all, Matternet isn’t a service company; it’s a product company. Raptopoulos sees Walgreens using Matternet’s drones to deliver prescriptions, or grocery stores using them to deliver milk. Because the startup is small, lean, and fast-moving, he thinks it has a leg up on giants like Google or Amazon. Finette agrees: Raptopoulos and Santana dream big, but know how to actually move steadily forward. He laughs recalling how nonchalantly the team will talk about passing amazing, major milestones. “They talk about it as if it’s nothing,” he says. That speaks to their capacity as entrepreneurs, he says, because they understand that every achievement is just a small stepping stone towards the big idea. Right now, Matternet’s drones weigh well under 5 kilograms, can carry cargo over 0.5 kilograms, and fly over 25 kilometers on a battery charge. Their geo-fenced routes take into consideration weather data and terrain. They are equipped with cameras to help them navigate onto landing pads at their destinations. The entire system gets controlled by a smartphone app. Raptopoulos calls it the “Apple II” of the drone industry: the “most easy to use, desirable, and safest personal flying vehicle” out there. Not that Matternet is the only company trying to achieve that. Besides giants like Amazon and Google, there are other delivery drone companies out there, like Bizzby and Aria. Talking to Raptopoulos, that future feels even closer. He gets almost electrically bright-eyed when he talks about the moments he’s had on trials in the Himalayas or Papua New Guinea. But his passion really radiates off him when he talks about what’s yet to come. Matternet plans to build a network of drones delivering daily necessities to people in areas where they have no access to roads.